Here is a compiled list of known errors/bugs for the Objects/Assets side of things. I will try my best to keep it updated when new errors/bugs and fixes for them are found. If you have a fix for something on the list please leave a comment. Unfolding booms on slurry tanker, glitchy. Köckerling harrow is lop sided on Claas tractor. Work light appearance isn't very good. Player sits inside the seat of the tractor. If you try rotate the plow before you lift it it locks the plow, can't detach or anything. Back wheel on plow stays moving all the time when the plow is lowered. Tracks left by MB tractor aren't aligned with wheels. IC cab control not working with left ctrl. [0.0.8] 1. Go to settings, controls, look for "release mouse" and click on the empty box and press your left control button, then apply, then save. 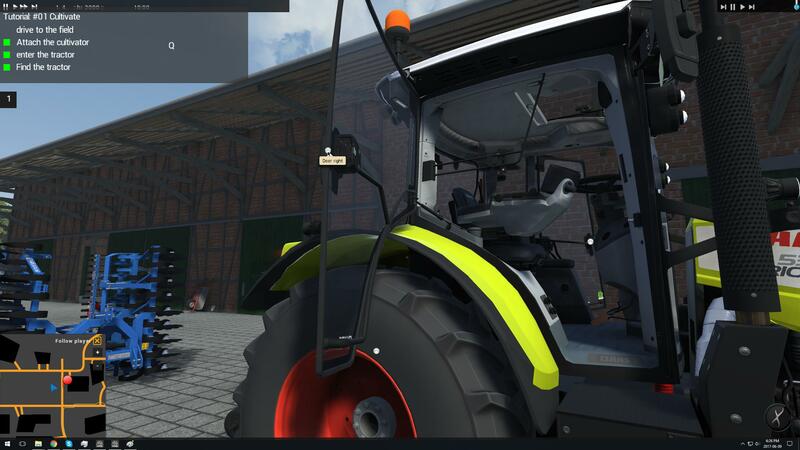 Displays in cab not working after re-entering the tractor and also when using the interactive key inside the cab. When using the "IC" control feature, after using the function (ie:Opening a door) it will not update the state of that function meaning it can only be used once. Moving rear attacher arms upon leaving tractor. - Now look at the arms going either up or down, you can push either the tractor or cultivator with player to trigger another update on the arm. Ability to fold front arms while your having something attached to it, this will also place the attached object in the wrong places. Its also possible to attach something while arms being folded. The post was edited 7 times, last by mmmBetty: Updated: 23/07/17 ( Jul 23rd 2017, 7:15am ). Right hand tractor door won't close. Only a temporary fix is to use the user actions on right hand side to close the right side door.